Today's retro-pain is brought to you by Gallery stalwart, Dave Carvell. 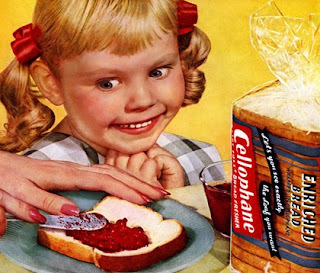 It's a 1954 ad that went with the slogan, "Bread's better 'cause it's fresher in Cellophane." 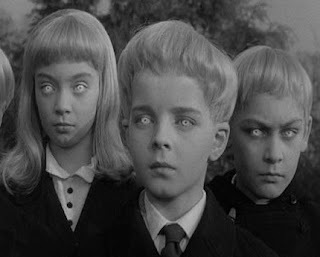 Dave noted that this creepy little girl looks like she's straight out of Village of the Damned. You know....I think he's right.